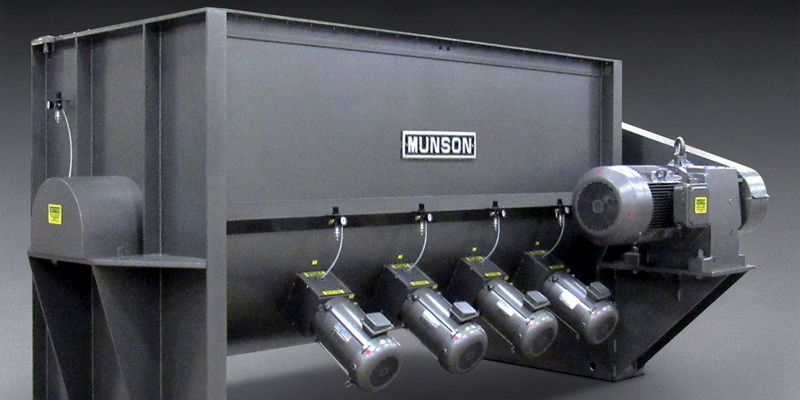 Utica (NY), United States – A new Munson Machinery Paddle Blender equipped with four high-speed choppers provides added shear to break lumps and/or disperse dry bulk solids, pastes, slurries and emulsions containing agglomerates during blending. It handles free- and non-free-flowing materials that are dry, moist, oily or paste-like in batches up to 5.7 m3. Utica (NY), United States – Munson Machinery has introduced a Variable Intensity Blender model VIM-124-SS with six injection ports, allowing liquid additions in small to large volumes to be combined with bulk food, chemical or pharmaceutical materials to produce pastes and slurries at high rates. Constructed of stainless steel, the sanitary unit can achieve homogenous blends in as little as 20 seconds residence time depending on material characteristics, yielding up to 57 m3 of throughput per hour. Hauppauge (NY), USA — Ross now offers protective light curtains providing automatic safety shutoff of Tumble Blenders whenever an operator crosses a defined security boundary. Due to the nature of the rotating mix chamber, a safety railing is supplied standard on all Ross Tumble Blenders. The addition of optional light curtains further improves operator safety. Tewkesbury, UK — Freeman Technology released the application note ‘Understanding the Impact of High-Shear Blending’, available for download from the Freeman company website. The note describes how three magnesium oxide based blends, produced using different equipment, were evaluated using the FT4 Powder Rheometer® to assess the influence of the production method, and the impact on product quality. As part of a benchmarking study by the renowned RWTH Aachen University, Germany, thyssenkrupp Industrial Solutions and indurad have been awarded the “Data-based Services 2017”? award. This year, the study focused on identifying industry leading approaches in the field of data-based services and digitization among 75 participating European companies. 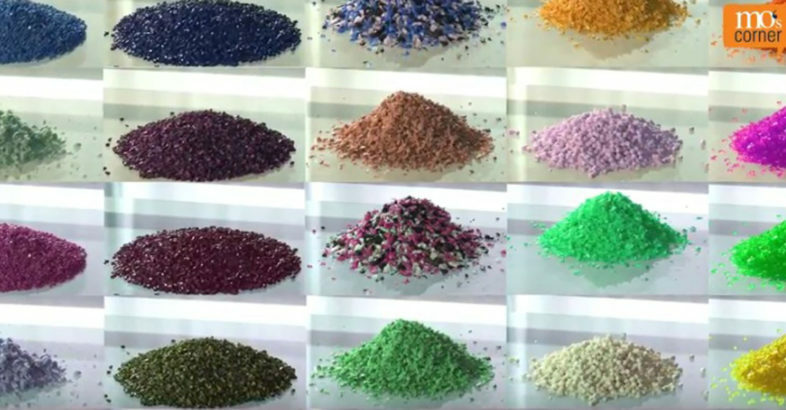 Background informations and details of dosing and mixing of palstic materials like for example granulates, powder or flakes. Holland, Michigan, USA (October 1, 2016) – This fully automated, self-contained, bulk material mixing system by National Bulk Equipment, Inc. (NBE) blends a combination of five, highly caustic, free flowing powdered additives with a sluggish flowing, high dusting base ingredient. 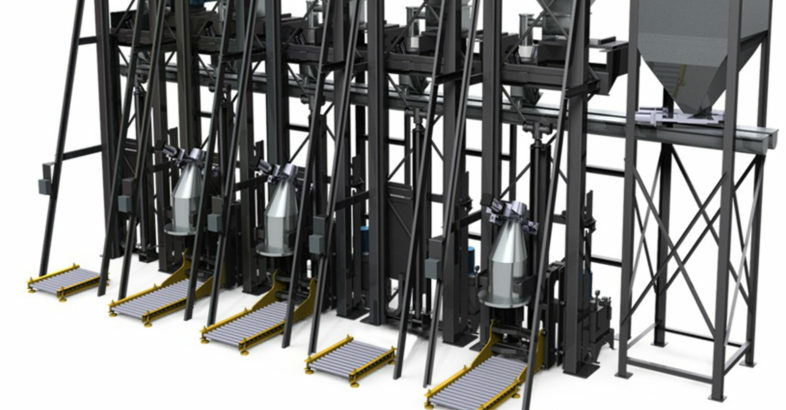 The base ingredient is automatically introduced into the system from a single, 64 cubic-foot surge hopper that feeds either of two horizontal screw conveyors; depending on the blend recipe and the material requirements of downstream packaging operations. The caustic, free flowing additives; previously manually added to the process, are input to the system using five, NBE Lift-and-Seal™ drum dumper units. Each NBE drum dumper unit has an automatic centering system to ensure a precise seal of the drum to the dumper unit’s custom-designed discharge hood.